A technical inspection of landing gear parts on Bombardier CRJ900 aircraft flown by SAS subsidiary Cimber air has temporarily grounded 10 planes and resulted in the cancellation of a number of flights. The planes, which are just over six years old, were taken offline yesterday and remain grounded today. Flights from Copenhagen Airport to destinations including Manchester, Bergen, Helsinki, Dusseldorf, Brussels, Vienna, Amsterdam, Newcastle, Aberdeen, Munich, Stuttgart and Hamburg were cancelled yesterday and may continue to be off the boards today. 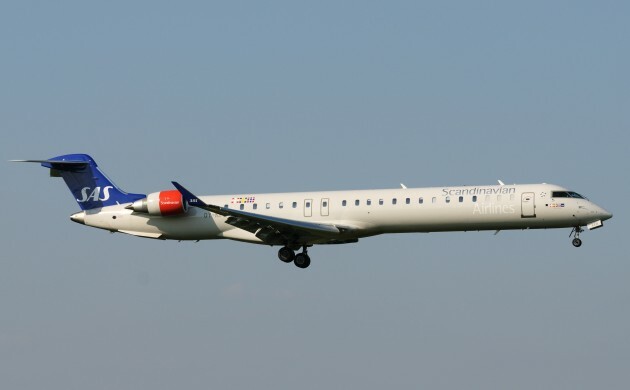 “A technical inspection of Bombardier CRJ900 aircraft operated by Cimber will unfortunately lead to cancellations of flights to and from Copenhagen on 22 and 23 May,” read a brief statement from SAS. “One of the aircraft had a problem with its landing gear, and we have therefore chosen to make technical inspections on all aircraft of this type.” said SAS spokesperson, Anna Vibeke Nielsen, to Check-In.dk. SAS is offering refunds or rebooking and asking passengers to check before they head to the airport. Passengers can keep abreast of their flight via Copenhagen Airport’s departure page.